You are here: Home / Creativity / Are You Fed Up Yet? Face it, you are fed up with not siding with yourself. How many times do you run the racket in your mind, If only I had done that different or better? You are not alone, it’s an epidemic amidst our culture for women. After a relationship ends, we think: maybe if I would have tried harder. I’m here to tell you. There was nothing you should have or could have done different or better. Side with yourself. We learn so early in our childhoods to question ourselves. All the times perhaps someone told you the way something was when you knew it to be different. Or you cried, and they said, don’t cry. Or you were angry, and they said, don’t be angry. We each grew up with various flavors of having our will tested. This leads to self-questioning. Uncertainty. Confusion about how we feel. The truth is, we are where we are due to our thoughts, the words we’ve spoken and what we’ve envisioned for ourselves. And most of it is good, yes? So, when that one thing goes wrong, or yet another relationship ends, we can begin to questions ourselves. Stop it. Right now, begin the artful, spiritual practice of siding with yourself, for a change. What if it is all unfolding perfectly? What if all change is helpful? 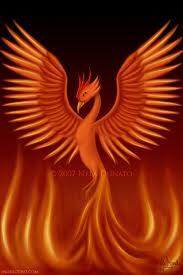 Like the Phoenix, we truly do rise from the ashes. Let it all simmer and burn away, until from seemingly nothing, you rise up, a magically talented creäture, better for having been burned.